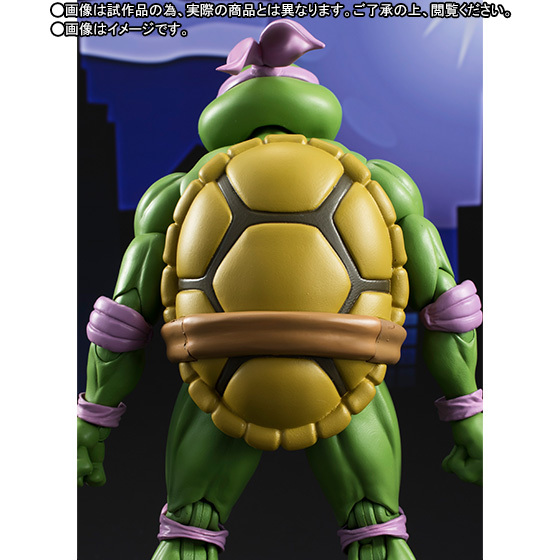 The Ninja Turtles resident inventor is coming to S.H. 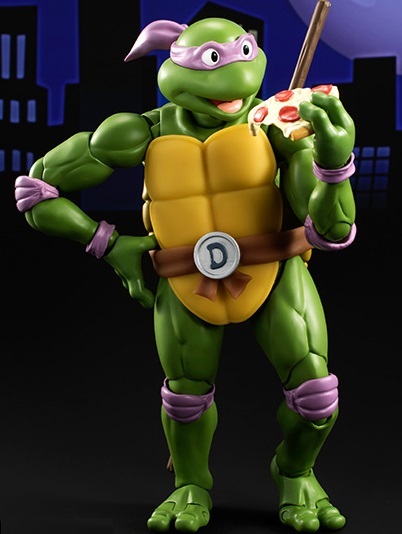 Figuarts with his bo staffs, alternate belt parts with a staff holder, extra hands, one additional face, and a slice of pizza. 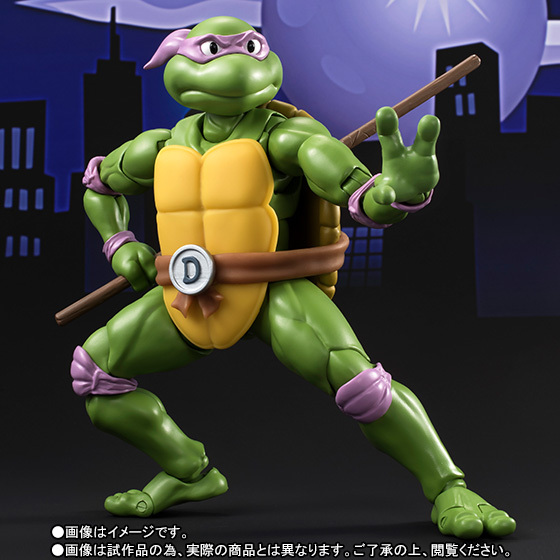 Donatello is being sold as a Tamashii Web Exclusive in Japan. 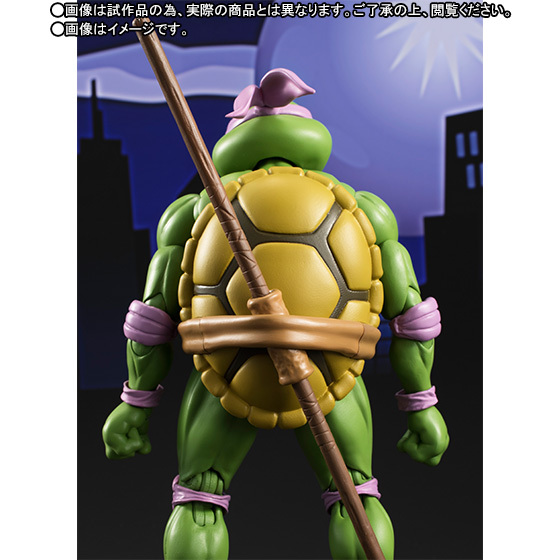 Coming August 2016 for 7,020 yen. 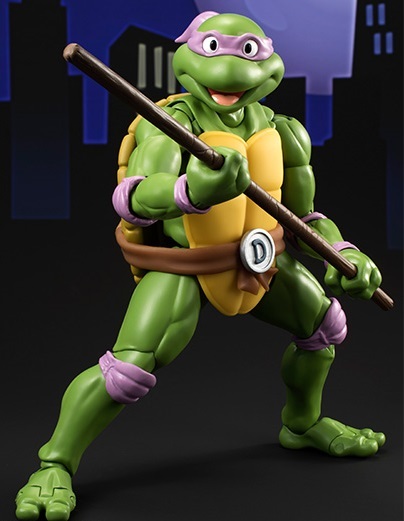 Collectors will not want to miss what’s in store from S.H.Figuarts! 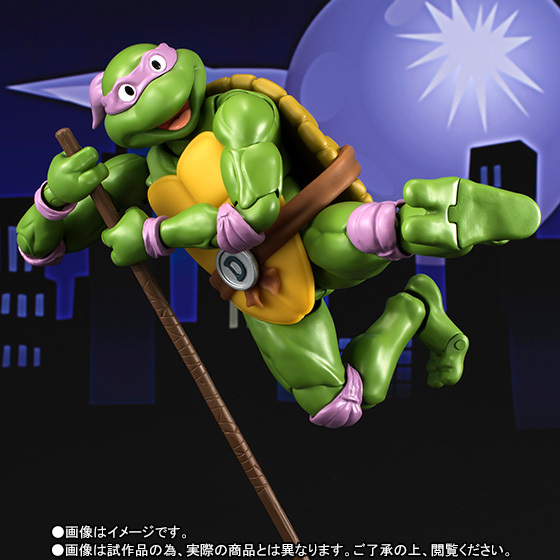 The first-ever S.H.Figuarts versions of everyone’s favorite Teenage Mutant Ninja Turtles are coming in classic animation colors! 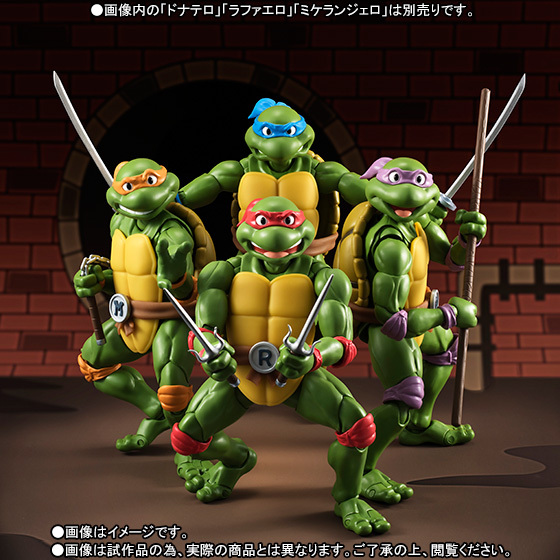 These new Tamashii Nations figures are being made specifically for the North American market and will be available for a limited time.